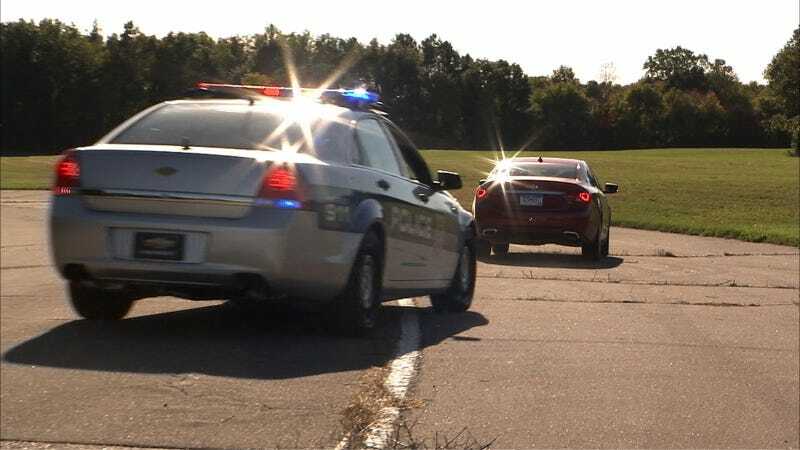 DETROIT – Nearly 250 times in the last five years, a signal to an OnStar-equipped stolen vehicle has helped stop a car thief in the act, gradually and safely slowing the vehicle to avoid a high-speed chase. OnStar’s Stolen Vehicle Slowdown is one of three Stolen Vehicle Assistance tools OnStar offers subscribers. A Remote Ignition Block makes it impossible to start a stolen vehicle once turned off. And a GPS location can be provided to authorities once a vehicle is confirmed stolen. OnStar worked closely with law enforcement in the U.S. and Canada to develop and modify the services to ensure best practices would be followed. Since OnStar began in 1996, more than 59,000 stolen vehicles have been located using OnStar’s Stolen Vehicle Assistance services. Over the past year, Detroit, Houston, St. Louis, Chicago and Los Angeles were the top metropolitan areas for Stolen Vehicle Assistance requests. OnStar executes five to seven Stolen Vehicle Slowdowns a month – a number trending upwards as the Public Safety sector becomes familiar with the service. “This slowdown service is a perfect example of the technologies available to law enforcement agencies to keep our citizens and officers safer on the road,” said Detroit Police Chief James Craig. First SVS Carjacking: A California resident was carjacked at gunpoint early one morning in 2009. After OnStar located his stolen Chevrolet Tahoe, and police had it in their sights, OnStar was able to safely slow the vehicle and the suspect was apprehended. Less than 16 minutes after OnStar was contacted, the Tahoe was safely recovered. Read more on the story here. Congressional Recovery: In May 2010, a Chevrolet Impala belonging to a state senator was stolen from a parking lot. Upon realizing it was stolen, the senator quickly contacted OnStar, which alerted the county sheriff and confirmed the vehicle was being treated as stolen. OnStar then provided officers with the vehicle’s GPS location. When the officers had the Impala in sight, they requested Stolen Vehicle Slowdown be initiated, the vehicle was disabled and the suspect was taken into custody. Read more on the story here. Stolen Vehicle Standoff: In Shreveport, Louisiana, the owner of a Chevrolet Silverado was robbed of his truck and money at gunpoint during a home invasion. Since the vehicle had an active OnStar subscription, advisors were able to provide authorities with the vehicle location and slow it down when the suspect refused to stop. However, the suspect then refused to surrender, pointing a gun at himself and threatening his own life. Officers called in a negotiating team who used OnStar’s Hands-Free system to talk to the suspect for hours, eventually convincing him to surrender before anyone was hurt. OnStar’s Stolen Vehicle Slowdown is available on most 2009 model year and newer General Motors’ vehicles in the U.S., Canada, China and Mexico. The service is included in the OnStar subscription that comes standard on new GM vehicles. For more information regarding Stolen Vehicle Slowdown and all of OnStar’s services, please visit www.onstar.com.